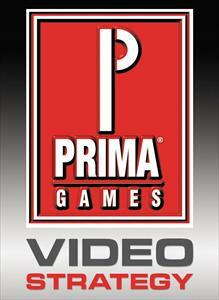 Prima Games is the world's leading publisher of game guides for computer and console video games. Video strategy walkthrough for Eragon, Final Battle Level. There are no refunds for this item. For more information, see www.xbox.com/live/accounts. Video strategy walkthrough for Eragon, Misty Gorge Level. There are no refunds for this item. For more information, see www.xbox.com/live/accounts. Video strategy walkthrough for Eragon, Flight from Gil'ead Level. There are no refunds for this item. For more information, see www.xbox.com/live/accounts. Video strategy walkthrough for Eragon, Durza Boss Battle. There are no refunds for this item. For more information, see www.xbox.com/live/accounts. Video strategy walkthrough for Eragon, Location of All hidden Eggs. There are no refunds for this item. For more information, see www.xbox.com/live/accounts. Video strategy walkthrough for Eragon, Daret Bridge Level. There are no refunds for this item. For more information, see www.xbox.com/live/accounts. Video strategy walkthrough for Eragon, Defend the Varden Level. There are no refunds for this item. For more information, see www.xbox.com/live/accounts. Video strategy walkthrough for Eragon, Urgal Encampment Level. There are no refunds for this item. For more information, see www.xbox.com/live/accounts.